The Aquarian Teacher™ certification program is open both to yoga students ready to become teachers, and those who wish to immerse themselves in the science of Kundalini Yoga as taught by Yogi Bhajan®. 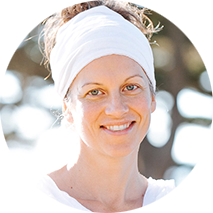 Madhur-­Nain Webster is a Lead Kundalini Yoga Teacher Trainer with KRI. She has currently applied for her Lead Trainer position with KRI. She also teaches Kundalini Yoga and Meditation courses internationally. As a Licensed Marriage and Family Therapist in California her genuine love of humanity and fascination with the human mind and behavior inspired her to pursue a career where she could influence people and enrich their lives. Her conviction of the positive influence that meditation has on the psychology and well­‐being of a person plays a major role in her approach to therapy and sharing the science and technology of yoga. And check out her first book The Stressless Brain! Tarn Taran Singh was part of the alternative youth culture of the late ‘60’s, participating in the anti-Vietnam War movement and then, “dropping out” to join the Hippie subculture in northern California. While traveling to Mexico in 1972, he and his wife, Tarn Taran Kaur, stopped in Tucson Arizona and joined a Kundalini Yoga Ashram where they became students of Yogi Bhajan. Yogi Bhajan gave them their spiritual names and asked the young couple to go to Europe to spread the teachings of Kundalini Yoga. Tarn Taran Singh became the 3HO European Regional Director, and during his 25 years in Europe, founded the Guru Ram Das Ashram in Hamburg Germany; the European Yogi Tea Company; the 3HO European Yoga Festival; and the first European Kundalini Yoga Teacher Training program. 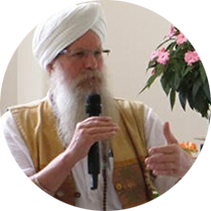 After Yogi Bhajan’s passing, they moved to New Mexico where for over 11 years, Tarn Taran Singh was the Executive Director of the KRI Aquarian Training Program, overseeing the growth of Teacher Training to over 300 annual programs, taught in 50 countries and 26 languages and supported by a Trainer Academy of over 700 members. Since retiring, Tarn Taran Singh continues to travel and teach and share his wit, wisdom and music around the globe. Director of the San Francisco Ashram. Awtar has been studying, teaching and sharing Kundalini yoga and meditation since 1972. She has a wonderful sense of humor and openness. 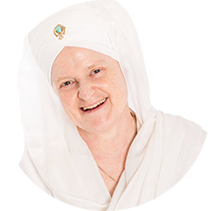 Tarn Taran Kaur Khalsa began teaching Kundalini Yoga internationally in 1972 when Yogi Bhajan asked her and her husband, Tarn Taran Singh, to move to the Netherlands. In 1975, the couple relocated to Hamburg, Germany where they opened the first German Kundalini Yoga School and Ashram. In 1976, they established the first German Kundalini Yoga Teacher Training program and German Kundalini Yoga Teacher Association. Tarn Taran Kaur has dedicated her life to teaching Kundalini Yoga, using Yogi Bhajan’s motto: “A teacher must train the student to be TEN times greater than his/her self!” She was recognized personally by Yogi Bhajan as a Level One and Level Two Teacher Trainer. She is also an International KRI Teacher Trainer Mentor, and a founding member of TTEC (Teacher Training Executive Council). She authored the Conscious Pregnancy manuals and training programs. Her wit and wisdom touch the hearts of all. She has the sensitive art of guiding an individual through the process of awakening his/her inner grace, strength and potential; the subtle skill which she learned under the direct guidance of Yogi Bhajan for over 30 years. Today she shares the teaching of Kundalini Yoga around the globe, with her home base in New Mexico with her husband, Tarn Taran Singh. Sheila has 19 years of experience in business development, marketing, and organizational development with large, multi-national firms both in Canada and the US. She sees the world as a small place. She is a passionate leader and strategy marketer who has brought growth, innovation to marketing and business development programs. Sheila is a visionary and with these forward-thinking abilities she help people see the big picture, identify and distill an overall vision, and pull together diverse teams to work towards common objectives. She is a very dynamic people person with excellent leadership qualities and a strong ability to build highly effective teams. Sheila has spent most of her career in consulting engineering industry. Prior to joining Verus, Sheila was the Director of Business Development at Ausenco an Australian-based firm, and AECOM (formerly UMA Group Ltd), Canadian engineering and project management firm. In her spare time, she teaches yoga and travels the world. 1. The Aquarian Teacher Textbook: An invaluable tool for learning and teaching Kundalini Yoga. 2. The Aquarian Teacher Yoga Manual: A collection of yoga sets, pranayama (breathing techniques), and various types of meditations. *Housing accommodations are NOT included in the training price. Students will arrange their individual accommodations. Click here for housing recommendations. Yogi Bhajan was a spiritual teacher of great caliber. He was born on the 26th of August, 1929, in the north of India. He left his body on October 6, 2004, in Espanola, USA. He studied a variety of yogic and spiritual teachings from an early age, becoming a master of Kundalini Yoga at the age of sixteen. Living the life of a householder (he was married and had three children) he decided in 1968 to go to the west and teach. From this beginning a worldwide organization (3HO Foundation, the Healthy, Happy, Holy Organization) has grown, a non-profit organization dedicated to spreading the teachings of Kundalini Yoga. Inspired by Yogi Bhajan, a number of 3HO members have embraced the Sikh religion, many aspects of which are relevant to present times including the equality of men and women of all religions, races and cultures. Yogi Bhajan put his whole heart in teaching yogic techniques, formerly shrouded by secrecy, to help humanity to find its natural joy, which he considered its birthright. He taught a large number of yoga sets and gave nutritional advice to maintain good health. Since his first conference in Los Angeles in 1969 he has offered the technology of Kundalini Yoga as a way to deeply understand and experience what it means to be a human being. All online cancelation purchases include a 2.9% + $0.30 USD per item refund fee of the amount paid. Cancelation for training with no refund is Sept. 22nd 2019 5pm. Register online and then send check to 1370 Trancas St. #217, Napa, CA 94558. There is a non-refundable deposit of $300 for all participants. To withdraw from the course before it begins we must receive your request in writing before Sept. 1, 2018. You will be eligible for a refund minus $300 from your deposit. Cancellations between Sept. 1st and 20th your refund will be minus $600 (your deposit). To withdraw from the course after it begins we must receive your request in writing before Sept. 22, 2019 5pm. Once the course begins you will be eligible for a refund minus the non-refundable deposit of $600 and a prorated amount of the course of that weekend. No refunds will be granted after Sept. 22, 2019. If you are on a payment plan and you cancel you will still be charged each month with your credit card or your personal check you have given us. All online cancelation purchases include a 2.9% + $0.30 USD charge per item refund fee of the amount paid. email: info@madhurnain.com or call: 707-225-4219. Join us for our 2019-2020 Aquarian Teacher® KRI Level 1 Teacher Training program. Interested in learning more about The Aquarian Teachers Training? Explore meditations you can listen to anywhere. The Stressless Brain introduces meditative tools to help change, transition, and treat stress and anxiety.